Will we lead or be led? The European Union is the biggest economy and largest trading bloc in the world, yet our position in the global economy has been decreasing in relative terms. A fully integrated single market can help put us back on top, writes Joseph Daul. 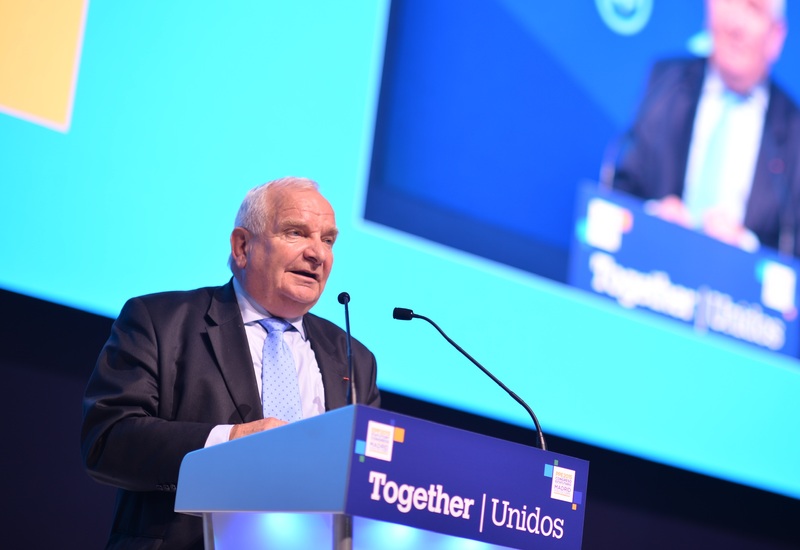 Joseph Daul is the president of the European People’s Party (EPP). In 2003, the economies of the EU and the US alone accounted for over 60% of the world’s GDP. Ten years later, that number stood at merely 46%. Europe boasts the best educated youth, the highest social standards and the most technologically advanced SMEs. But we are still unable to generate innovative companies like Facebook, Google and Uber, or to dominate in new, groundbreaking industries. We have become accustomed to merely reacting to never-ending crises, instead of taking bold steps to ensure that Europe remains a world leader. The EU has always been a project-in-the-making: it advanced thanks to visionaries like Adenauer, Schuman, and De Gasperi. Our founding fathers understood that unless we integrated and adapted to an ever-changing world, Europe would have no future. It is time we did the same. It is time we embraced the new digital era and built on what we have achieved so far. We can ensure that the EU remains a leading power only if we continue to integrate. Three immediate steps are needed to unleash the EU’s potential: create a bigger market, boost cross-border investments by removing obstacles and demonstrate more political leadership. First, our single market has made us the biggest economy in the world, even though we only have a common market for goods. The EU market for services, the digital economy and capital remains fragmented and far from integrated. EU citizens, small and big companies and governments all have their options limited by existing barriers. An integrated single market means new jobs and more opportunities for the EU’s citizens. It means that our talented and driven entrepreneurs can scale up quickly and further innovate. A Finnish technology entrepreneur should be able to build his company with the idea that his “local” market consists of 500 million potential customers, instead of only five million. The European Commission estimates that an EU single digital market alone could bring €415 billion per year to our economy. If the single market for goods has single-handedly put us in a leading position in the past, imagine the huge untapped potential of a comprehensively integrated single market. Second, for the EU economy to flourish, generate jobs and innovate, we must create the right conditions for private investors to contribute to its development. Many innovative start-ups lack funding; at the same time it is difficult for them to qualify for a bank loan. According to the European Commission, around 35 % of SMEs in the eurozone were unable to gain adequate financing from their banks in 2013. Increasing contributions from investors – such as business angels, venture capitalists or private equity stakeholders – is crucial in creating a better business environment and facilitating innovation to help companies grow and prosper. But we need to remove cross-border obstacles to match investors with the right companies. At the national level, member states must adapt their tax codes to make capital investments more appealing. At the European level, we must look into the problems caused by the diversity of insolvency laws. There should be a voluntary 29th insolvency regime to boost cross-border investments. Third, politicians at all levels must start by understanding the changes and challenges we face today. Our companies remain in a disadvantaged position compared to their US counterparts. Our fractured markets are holding us back, and European consumers are paying the price for it. We must use our political leadership to close this gap and unleash the full potential of an EU single market for the benefit of all European citizens. Today, we find ourselves at the crossroads between a prosperous or an uncertain future. We must learn from past experiences and, together, act decisively with anticipation. We have to do what is needed for Europe to flourish and become more competitive and innovative. Only then we will be able to lead.